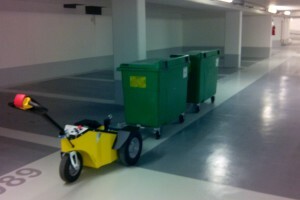 The TT-600 is a three wheeled ZERO emission electric drive pedestrian vehicle ergonomically designed to easily move small trailers, caravans, wagons and single commercial or multiple residential waste containers with safety and ease. 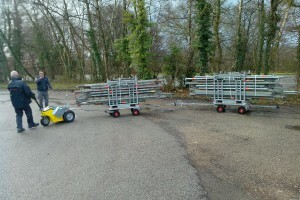 The TT-600 is a three wheeled ZERO emission electric drive pedestrian vehicle ergonomically designed to easily move small trailers, caravans, wagons and single commercial or multiple residential waste containers with safety and ease. 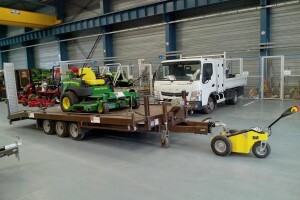 The Tug Trak reduces the manual effort required to perform repetitive tasks thereby improving productivity and reducing the chance of work related injuries. 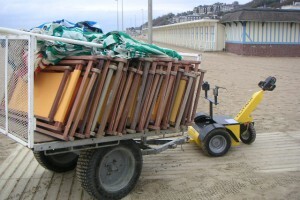 The TT-600 has a pulling capacity of 2000kgs and a loading capacity of 300kgs and can handle 200kgs load on a 20% slope. 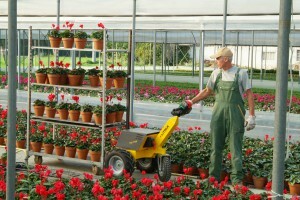 The smaller size of the TT-600 means that it is easily maneuvered and can be used in small spaces. 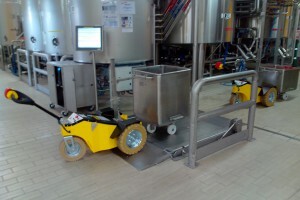 The design allows for pushing or pulling and comes with a standard connection post and antidumping support wheels. 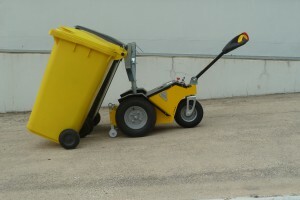 With the addition of the trailer ball accessory or the waste container connector, the TT-600 can handle many tasks. 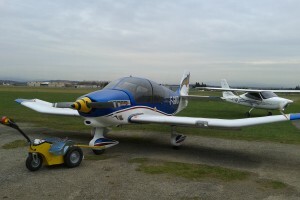 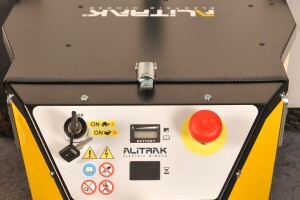 Additional options are solid non-marking tires, safety operational light, ballast and some different attachment.